However, it seems that the government had to revoke its transfer decision after many citizen groups pressured the government to reinstate him. BENGALURU: The state government on Wednesday revoked its order to transfer D Randeep, additional commissioner of the administration at BBMP, after several citizen groups opposed his transfer and filed an online petition, demanding that the government revoke his transfer order. 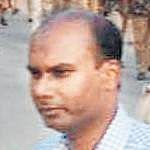 Randeep was transferred to Social Welfare Department as the commissioner, last week. His transfer took place along with the transfer of 12 other IAS officers working in various departments. The citizen groups had accused the government of being pressured by garbage contractors lobby after Randeep took over the Solid Waste Management Department and mulling to install GPS to all auto-tippers and compactors. He had also said that many of the auto-tippers registered with BBMP, for whom it had been paying bills for past few years, did not exist “for real”. He demanded authorities to take action on this matter. Many animal lovers and citizen groups had also accused saying his transfer took place after Union Minister Maneka Gandhi had written to BBMP Commissioner N Manjunatha Prasad, “to transfer Randeep and appoint some other official for looking after the Animal Birth Control programme”, to which she wrote that Randeep had not responded to her pleas.